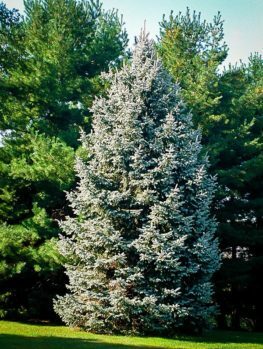 Humpty Dumpty Spruce is a wonderful dwarf evergreen tree adapted for the coldest parts of the country. It is hardy to minus 50 degrees, and grows steadily into a rounded, egg-shaped plant that can reach 6 feet tall and the same across at maturity. It has tiny, dense needles of a waxy blue-green color, crowded together on equally dense shoots radiating from a mass of branches. The dense shoots and needles completely hid the inner branches, making a compact ball of colorful foliage. All year round, this happy plant will bring joy into your garden, and your children will love having their very own nursery rhyme character right outside their door. It is a great plant among the planting around your house, in beds or among boulders, or in pots and planter boxes for winter effect. You can then plant annuals flowers in the pots in spring, for variety and color all summer. 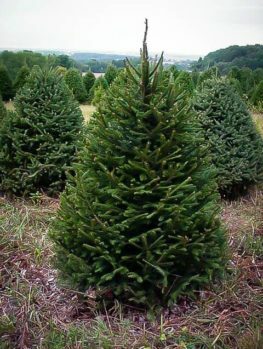 Your Humpty Dumpty Spruce will grow happily in a sunny location in most soils, it is hardy to minus 50, and does well in the coldest areas. It is not suitable for hot and humid southern regions. It makes an elegant and striking feature in any garden. With no major pests or diseases, this is the perfect low-maintenance plant for any garden in cold regions. 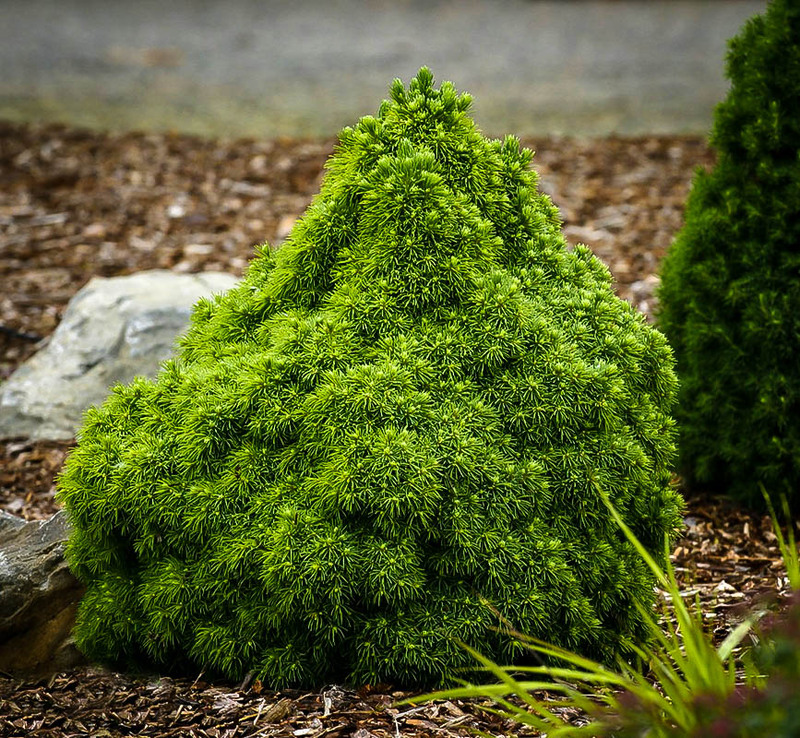 It simply grows, with not clipping required –in fact clipping should be avoided, as the tree will naturally grow so dense and compact you could bounce a tennis ball of it. As it grows to maturity it will always remain rounded, compact and fully-branched right to the ground. Dwarf conifers are always a joy to grow in the garden. 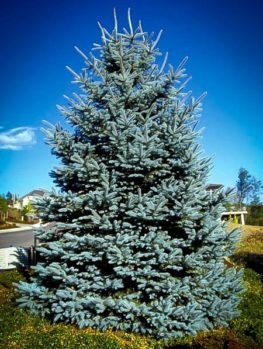 Each variety, and even each individual, has its own charming personality, and few have more charm or personality than the Humpty Dumpty Spruce. Named of course after the children’s nursery rhyme, this egg-shaped ball of dense blue-green foliage may seem to have have fallen off the wall, but it certainly didn’t crack open. Instead, it forms an extremely dense globe of compact needles, which will grow steadily over time into a ball five to six feet tall, and as much across. 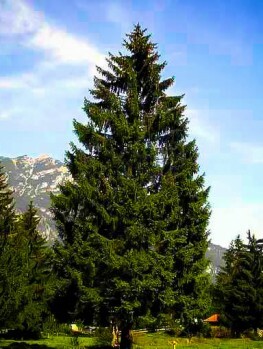 The Humpty Dumpty Spruce is a variant of the well-known Dwarf Alberta Spruce, which grows several feet taller and is more conical in outline. They both thrive in similar conditions and make great companions in your garden. 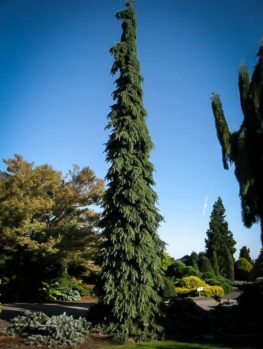 In fact, a sharp-eyed nurseryman working with the famous specialist Iseli Nursery in Oregon, spotted Humpty Dumpty growing as an unusual branch on a Dwarf Alberta Spruce. He removed it and grew it, and he was impressed with the result. 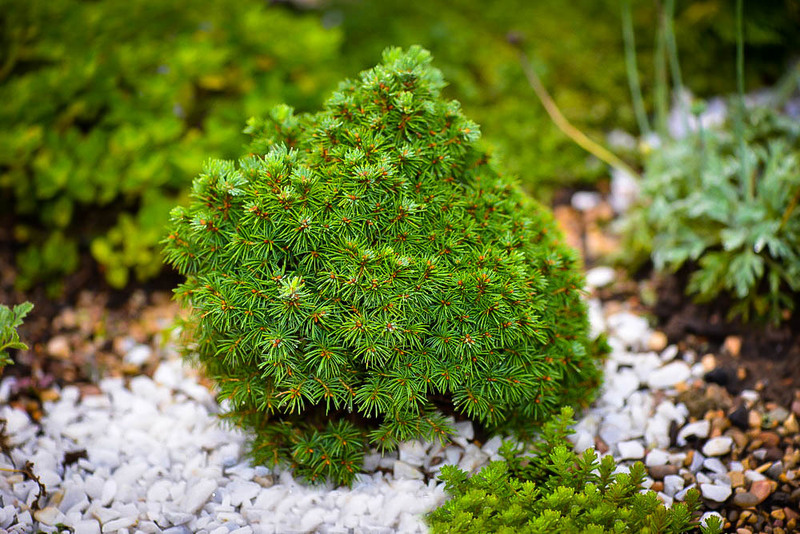 Both plants are miniature forms of the Alberta Spruce (Picea glauca) also known as white spruce. This towering forest tree grows across vast reaches of the north, from Alaska to Newfoundland, and down into the northern states like Minnesota, Vermont and Maine. It grows up to 130 feet tall, and is a major source of lumber and pulp for papermaking. What makes it also remarkable is its hardiness – thriving best in the cooler regions more suited to its natural life – and therefore idea if you want to build an interesting garden but are limited by your climate. Winter lows of minus 50 degrees Fahrenheit will not bother it all, so if you live in the coldest parts of the country, this is a great way to expand your garden with something different. 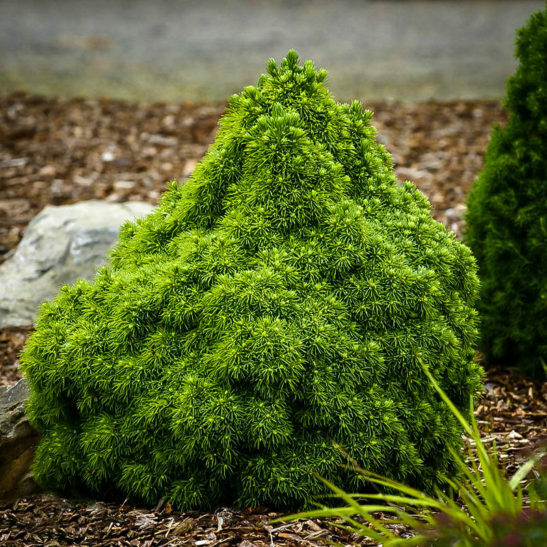 Even if you live in the ‘tropics’ of zone 6, it will still be happy, but if you live in warmer regions, perhaps choose the Dwarf Hinoki Cypress for a similar small, rounded evergreen that will thrive in all hotter areas. 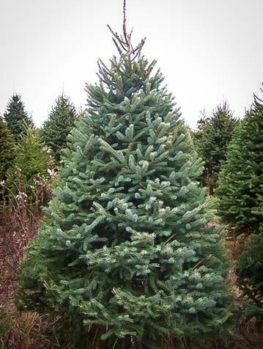 With the Humpty Dumpty Spruce, you can enjoy this tree in a gorgeous dwarf version in any garden situation. Plant a pair on opposite sides of your door, for a joyful greeting home. Scatter them among other small shrubs for color all year and winter interest during that long season. Plant some among boulders and gravel as part of an attractive low-maintenance garden. They also look great planted in pots or planter boxes, where they will grow happily for years, and they can even be decorated for Christmas cheer in the festive season. 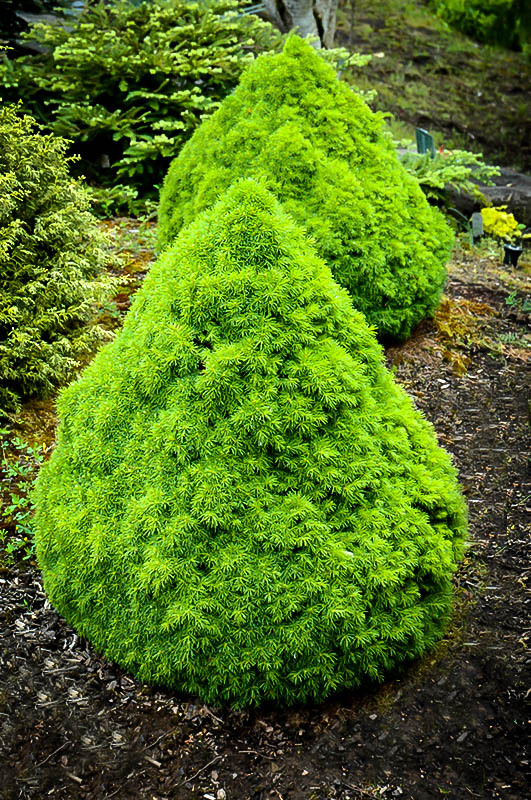 Your Humpty Dumpty Spruce has tiny, blue-green needles on miniature shoots that grow densely together. The needles are less than a half-inch long, covered with a blue, waxy coating; if you crush a few needles, they release a pungent but attractive scent of the northern forests. The branches and needles form a dense surface, showing nothing of the interior branches, but instead becoming a rounded egg-shape plant standing on the ground. 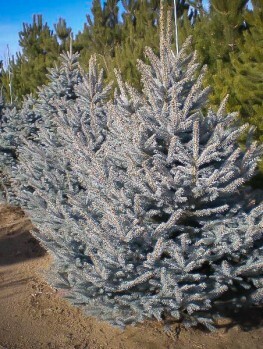 The Humpty Dumpty Alberta Spruce grows best in full sun, but it will tolerate a small amount of light shade too. It will grow best in rich, moist soil, so add plenty of organic material when planting. It does not tolerate wet, poorly-drained soils well, or dry and arid sites. You can see immediately that such an unusual plant cannot be grown from seed, but must instead be grown from tiny pieces from original plants of the correct variety. These are skillfully rooted, before growing into handsome young plants. So avoid cheaper trees simply called “white” or “Alberta” spruce, as these will become enormous forest trees – not at all what you were expecting! 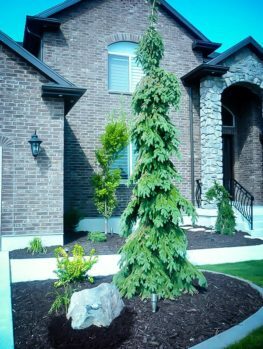 If you garden in cool areas, this tree is a definite must-have for something different, eye-catching and attractive. It will attract attention from everyone who sees it, and you will be amazed at its hardiness and easy growth. No clipping is needed for the perfect blue-grey garden egg, and you won’t need king’s men and horses to keep this tree happy in your garden. You can imagine that demand for such reliable and novel items is high, and you are right in thinking that. So order now, while stocks last, or risk disappointment.